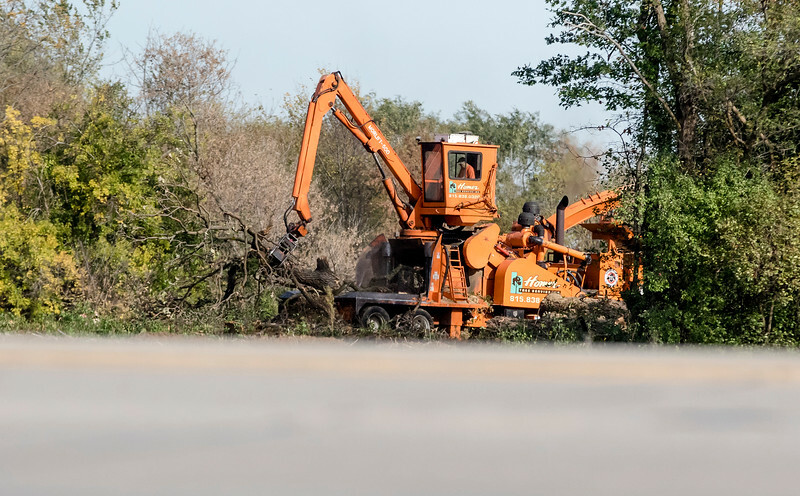 Sarah Nader - snader@shawmedia.com Mercy Health System starts to clear the land at the corner of Route 31 and Three Oaks Road in Crystal Lake Thursday, Oct. 20, 2017. They are building a small micro-hospital that will have 13 beds, two operating rooms, a 24/7 emergency room and a clinic. They will be hosting pumpkin patch activities Friday, Oct 27 from 3-5 p.m. at the Crystal Lake Holiday Inn parking lot at 800 S. Rt. 31. Mercy Health System starts to clear the land at the corner of Route 31 and Three Oaks Road in Crystal Lake Thursday, Oct. 20, 2017. They are building a small micro-hospital that will have 13 beds, two operating rooms, a 24/7 emergency room and a clinic. They will be hosting pumpkin patch activities Friday, Oct 27 from 3-5 p.m. at the Crystal Lake Holiday Inn parking lot at 800 S. Rt. 31.